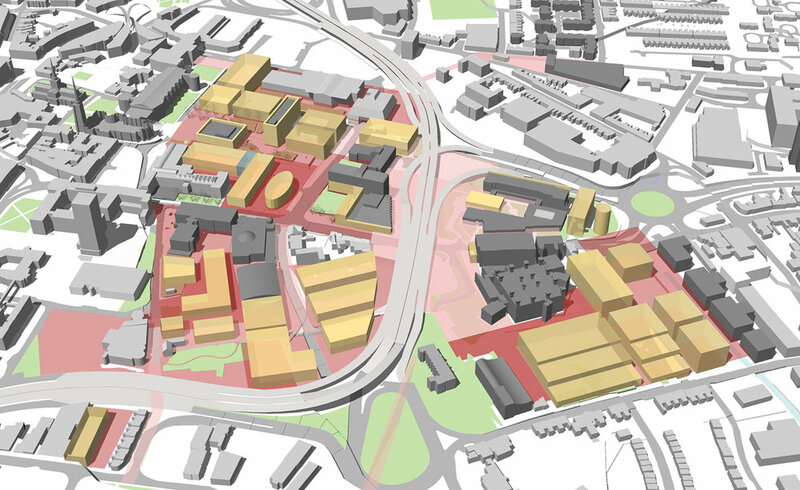 This study produced a long-term strategy for development for this city centre campus University. Key outcomes included highlighting opportunities for growth and resolving issues around car-parking, legibility and identity. Sub –studies were undertaken to explore ideas for regenerating areas beneath elevated sections of the inner ring-road as positive public realm. A series of structured sessions with the City Council were critical to ensure that proposals were integrated with on-going wider city initiatives.